Our balsam is based solely on natural ingredients. 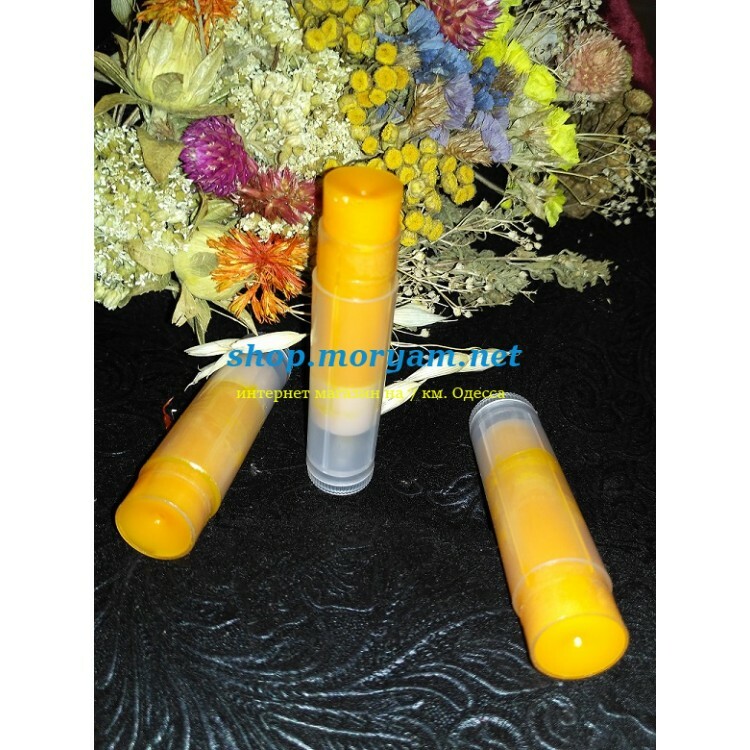 The product gently cares for the lips and provides protection from the external environment. Gently softens, nourishes and prevents weathering at any time of the year. In the constant use of our product, your sponges will be elastic and elastic. Beeswax Bee wax has remarkable softening, nutritional and anti-inflammatory properties. Means based on beeswax have a good effect on the improvement of the skin condition, and also contribute to the early healing of its various damages (inflammations, wounds, burns, etc.). Cinnamon essential oil Cinnamon essential oil - prevents infection, has antiseptic, anti-inflammatory, healing effect. Coconut oil Coconut oil - deeply nourishes and moisturizes the skin of the face and body, has a stimulating and protective effect. Sea buckthorn oil Sea buckthorn is called "Orange Beauty Queen". Sea buckthorn oil smoothes the skin, removes fine wrinkles. Increase the tone and firmness of the skin. Effectively used for skin pigmentation. Lightens freckles. He cures acne and problem skin. Sweet Almond Oil Sweet almond oil - helps moisturize the skin, relieves inflammation, heals, tones and tightens the skin.